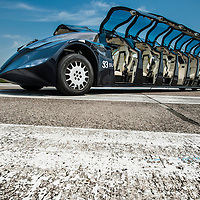 Superbus is a new concept for sustainable mobility, which consists of a new vehicle, new type of dedicated infrastructure and new logistics. 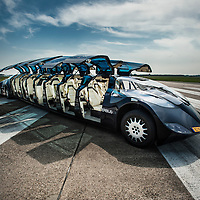 For this new concept, all of the intelligence and innovation is put into the vehicle, whereas the dedicated infrastructure, where the Superbus runs at 250 km/h, is made of relatively cheap concrete roads...Superbus is 15 meters long and provides seating for 23 passengers. 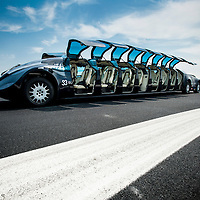 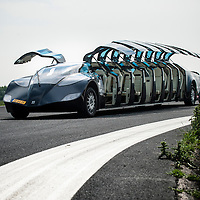 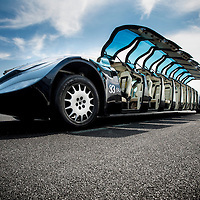 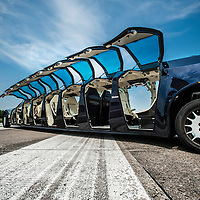 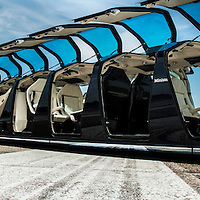 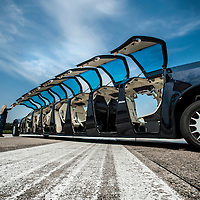 In order to improve comfort and to allow individuality, it has 8 doors per side.De superbus is een concept van Wubbo Ockels voor een autobus die tussen de 150 en 250 km/uur zou moeten kunnen rijden.